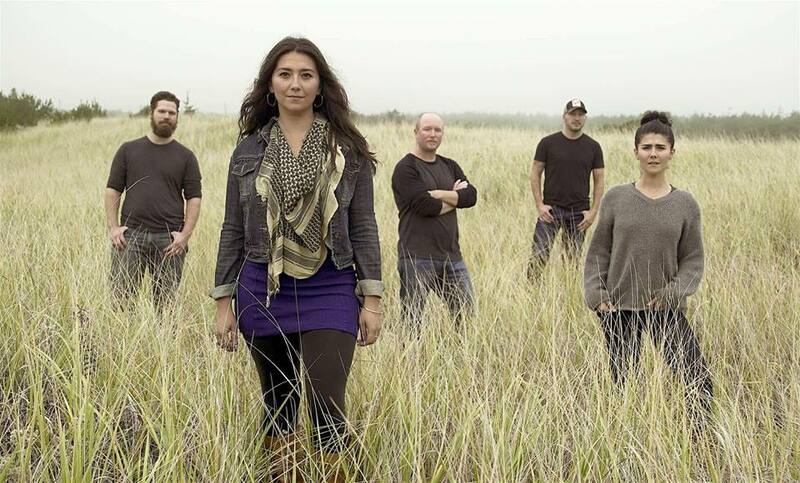 Portland native and songwriter, Crystal Lariza has been intriguing audiences in the northwest for over a decade. Together her and her sister, Angela pour their lush and heartfelt harmonies into the eclectic folk rock band that is CORNER. Swinging their smoky sweet voices from moody and dynamic ballads like ‘Last Words' to gritty country flecked gems like their dive bar ode, ‘Whiskey'. The band formed in 2012 when all members met while working at The Portland City Grill, the city's famous high-rise watering hole. At their first practice, Crystal brought a couple of songs, a bottle of whiskey and no expectations. With Max Cheswick on lead guitar, Mike Cook on bass and the steady beat of Ray Maestas drum, the sister's music was brought to life and CORNER was born. Since then their sound has flown the airwaves of Portland Radio Project and KMUZ Radio in Salem and pulsed the stages of Portland's iconic Star Theatre to Seattle's euphoric Hempfest. They have put out two EP's, Rude Awakening in 2013 and CORNER LIVE at Pdx Spotlight in 2015. The group's latest project titled "Where You Are" is was recorded in Vancouver and Long Beach, Washington and produced by Patrick Tetrault. In May 2018, with the help of many friends and fans, they successfully funded a Kickstarter that allowed them to mix the record in Nashville by Craig Alvin (Kasey Musgraves, Vanessa Carlton). The new record will be publically released in January of 2019.